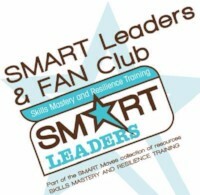 SMART Leaders is a booster program to SMART Moves. This program keeps teens involved in the SMART Moves program after Stay SMART, reinforces skills and knowledge youth learned in SMART Moves and prepares teens as leaders to help their peers resist using alcohol, tobacco, and other drugs, and postpone sexual activity. 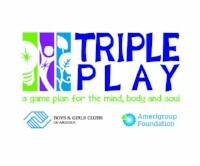 The program is available through a collaborative effort among The Pennsylvania State University, Boys & Girls Clubs of America, and the Center for Substance Abuse Prevention. Importantly, SMART Leaders is a CSAP Model Program. Passport to Manhood promotes and teaches responsibility in Club boys ages 11-14. Passport to Manhood consists of 14 sessions, each of which concentrates on a specific aspect of manhood through highly interactive activities. Each Club participant receives his own "passport” to underscore the notion that he is on a personal journey of maturation and growth. Passport to Manhood represents a targeted effort to engage young boys in discussions activities that reinforce positive behavior. Passport to Manhood is an excellent complement to SMART Girls. Empowering youth to eat right is a generation-changing, life-enhancing program goal, and Triple Play’s nutrition component, called Healthy Habits, covers the power of choice, calories, vitamins and minerals, the food pyramid and appropriate portion size. Money Matters promotes financial responsibility and independence among Club members ages 13-18 by building their basic money management skills. Participants learn how to manage a checking account, budget, save and invest. They also learn about starting small businesses and paying for college. Money Matters features three components. The Teen Personal Finance Guide is a fun, attractive booklet containing practical tips and activities to help teens learn the important skills of balancing a checkbook, creating a budget and saving and investing for college and retirement. The Facilitator's Guide provides Club staff and volunteers with basic financial information and instructions for easy-to-implement small-group activities. The Money Matters Web site, offers teens an engaging online tool for building their money management knowledge and skills through interactive activities, games and tools like a savings and financial aid calculator to plan for college. The Charles Schwab Foundation sponsors Money Matters: Make It Count.